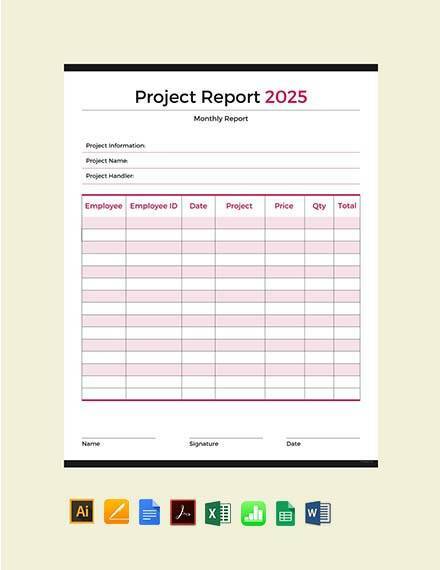 Project completion reports are detailed reports of completed projects of any fields of discipline, be it project management in business, architecture, engineering, and software management. 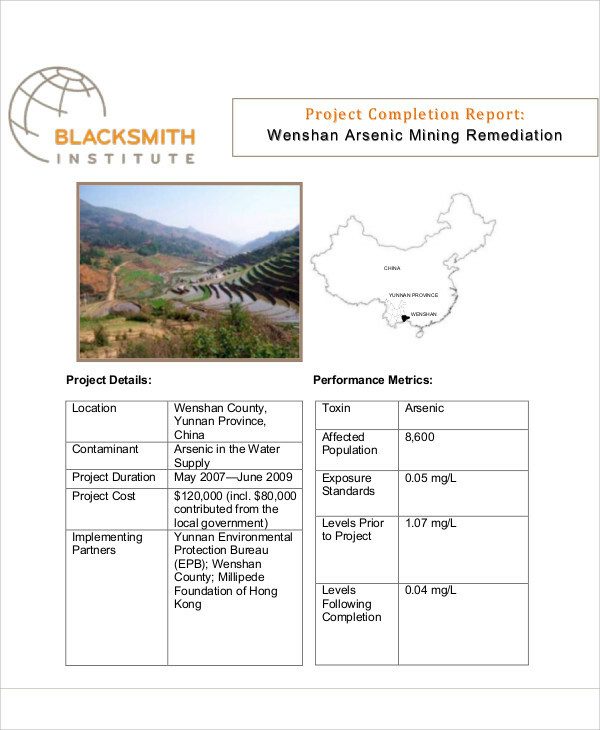 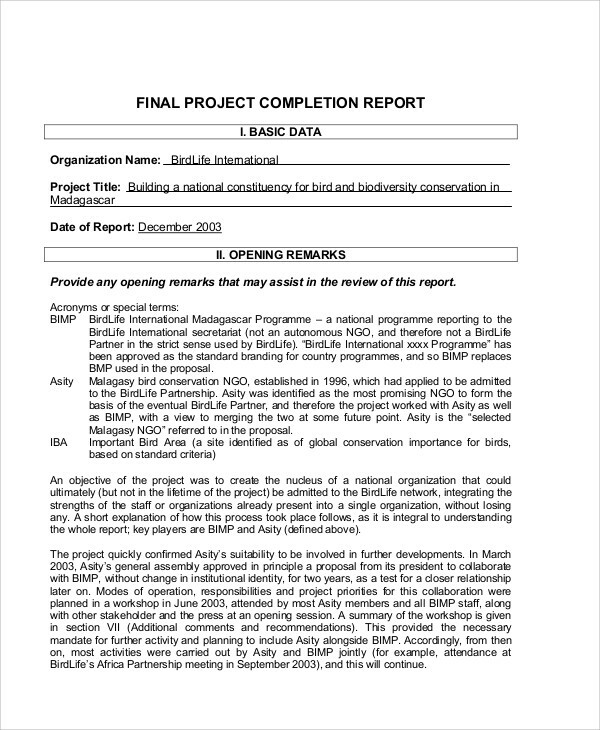 Even non-government organizational projects need to provide project completion reports for the benefit of its donors who fund their projects.You may also see project reports. 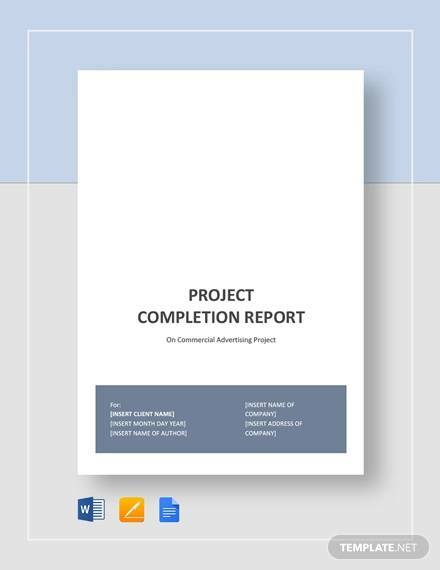 Our website’s sample reports for project completion help guide users for making their own reports in detailed step-by-step procedures that guide users on the parts of a complete report that will be thoroughly presentable to their readers. 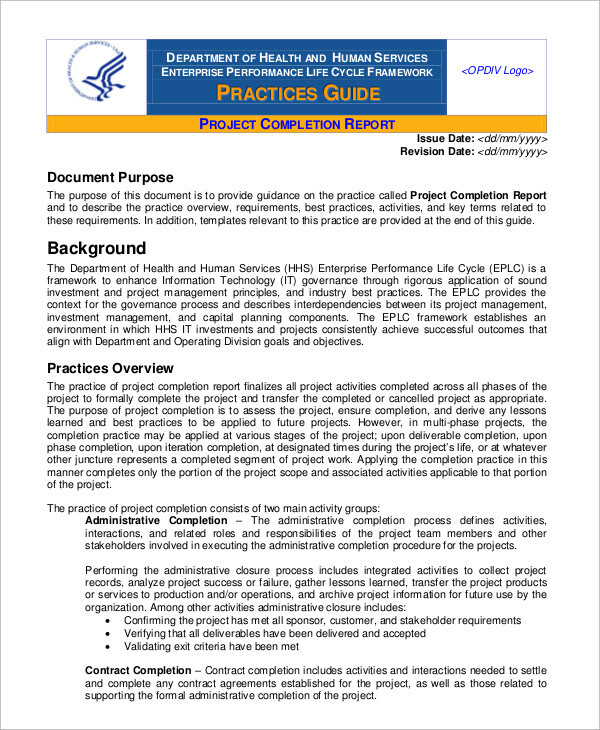 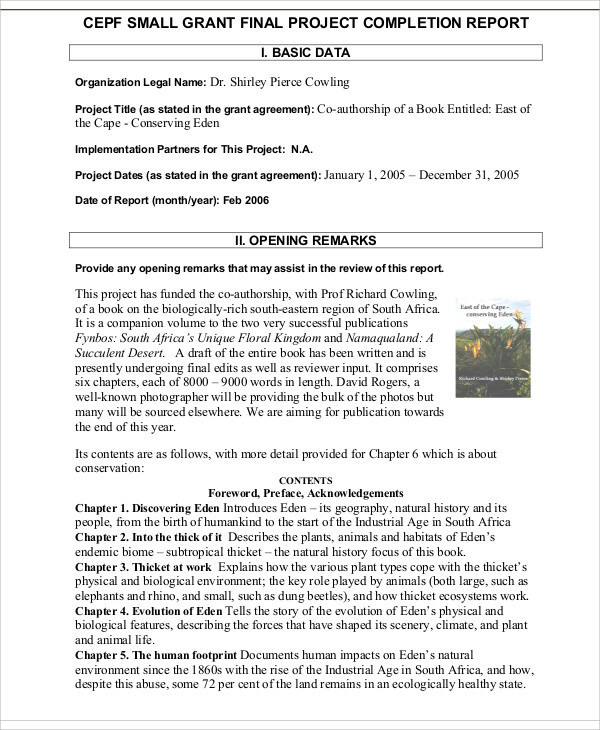 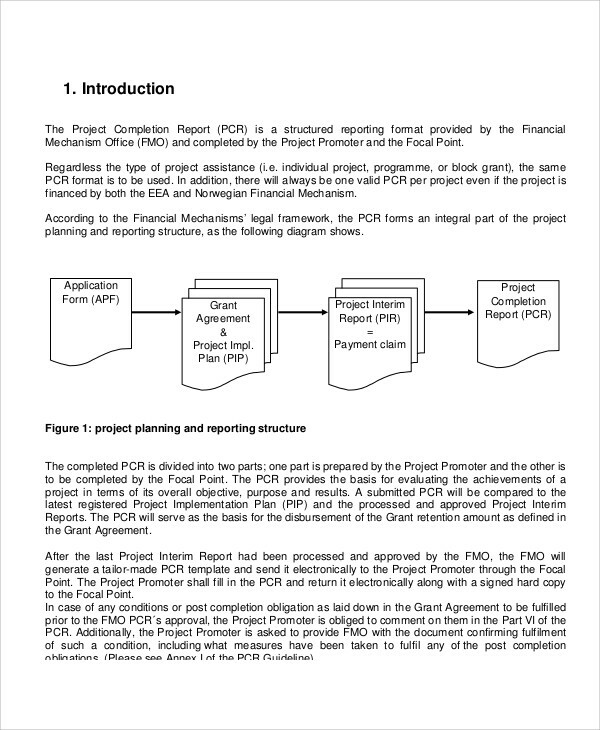 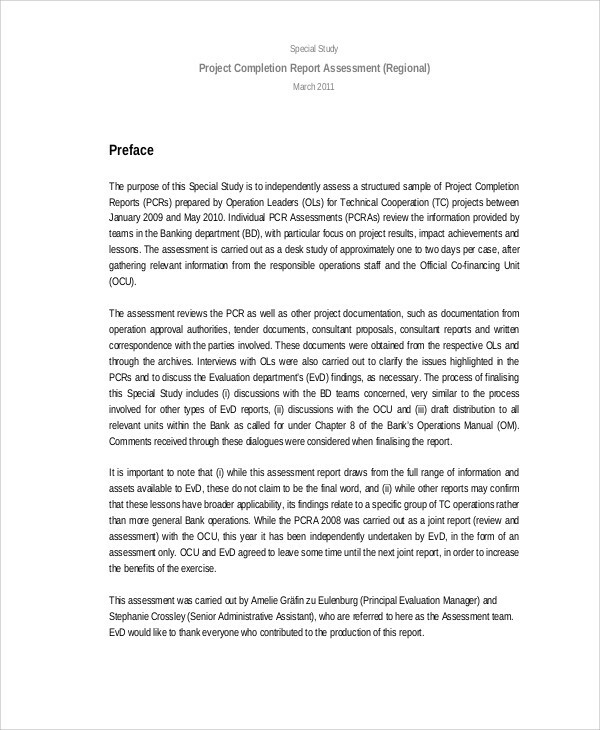 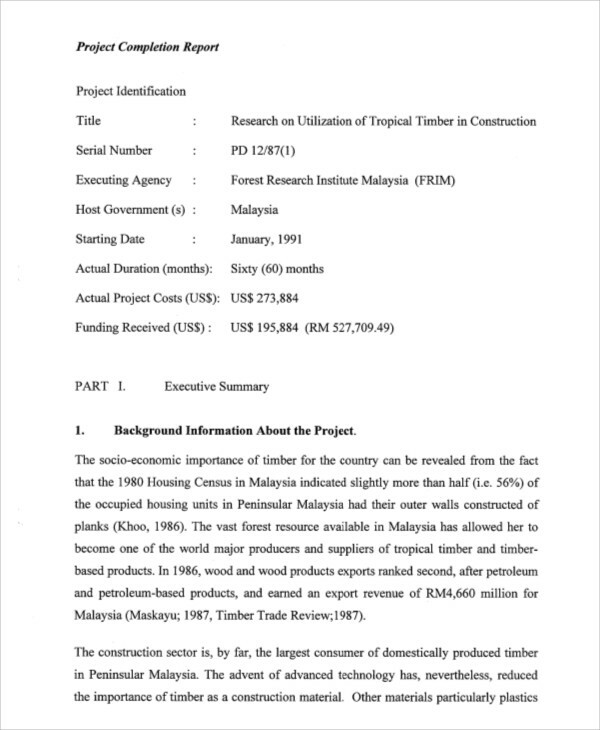 For other examples of project reports, please check more on our website or click on the links for project status reports and project quarterly reports that users may find helpful in drafting their own reports. 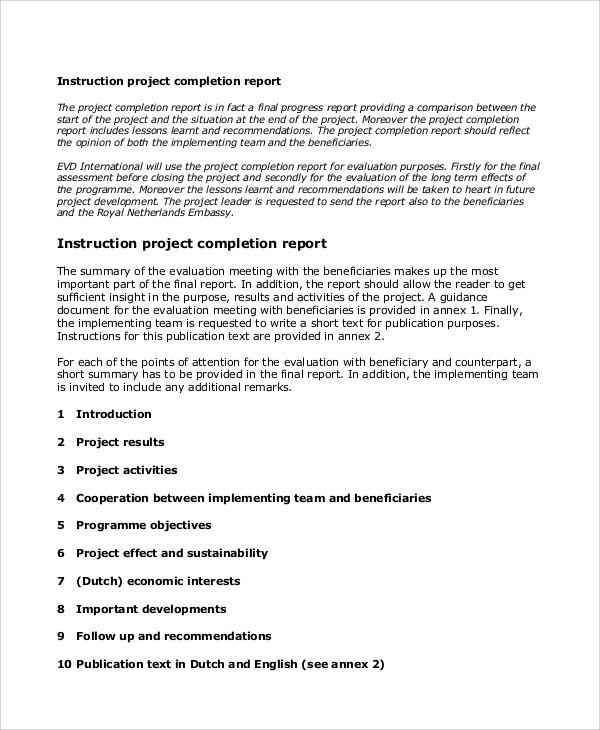 For a project completion report to be totally complete, you should also list down the resources that were needed for the project to make the reader understand who were in charge of deliverables since the project undertaken took several team members, each with their own responsibilities. 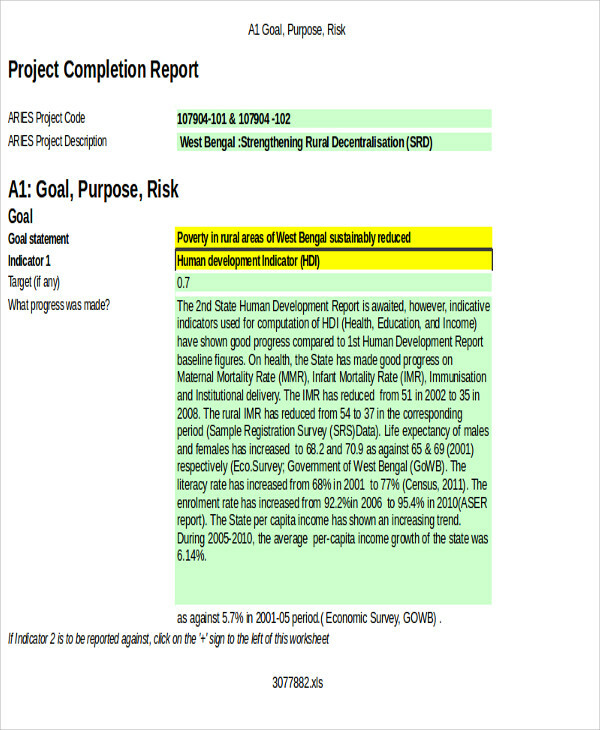 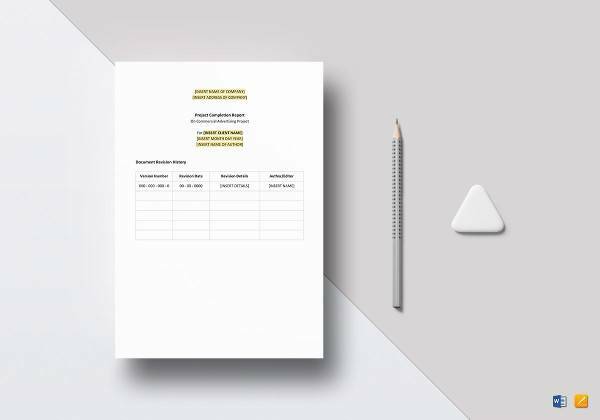 For even more report examples, please check on our risk assessment reports that are free to download in both Word Doc and PDF files.